Your dog is a member of your family so why not send them to a fun environment when you can’t be together? Whether you just need to leave them for a couple of hours while you run errands or the entire day while you’re at work, Dogtopia of Anaheim Hills offer daycare packages to suit your needs. Your pup will make new friends in a fun environment. 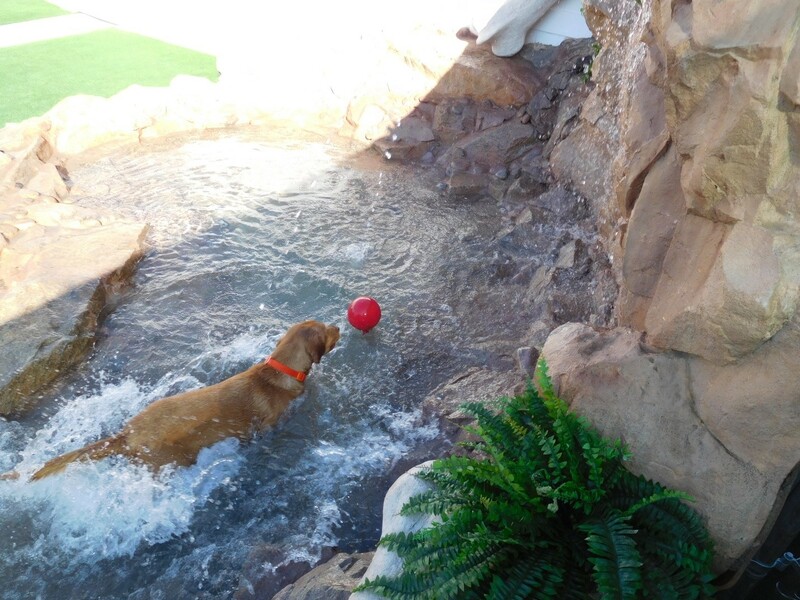 Our state-of-the-art facility was designed with your dog’s comfort in mind. We are conveniently located off of Lakeview Avenue, between LaPalma Avenue and Orangethorpe Avenue. If you’re heading out of town for the day, we’re near where the 55 & 91 Freeways intersect. Best of all, there’s lots of parking at our location! We proudly serve the residents of Anaheim, Yorba Linda, Placentia, Orange, Tustin, Corona and other surrounding neighborhoods. Your dog will have fun in our off-leash facility. 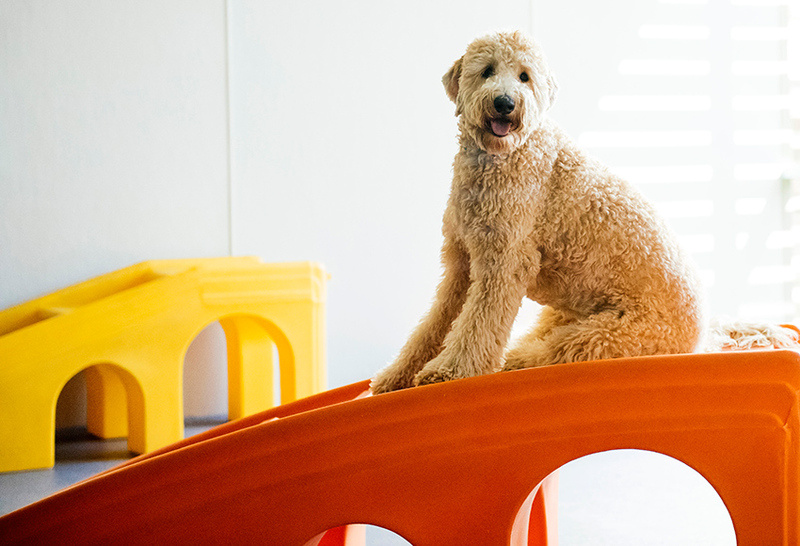 We offer 17,500 square feet of indoor playrooms and outdoor play yards supervised by our highly-trained dog care professionals. Your pup will enjoy a full day of fun and play with their new furry BFFs. 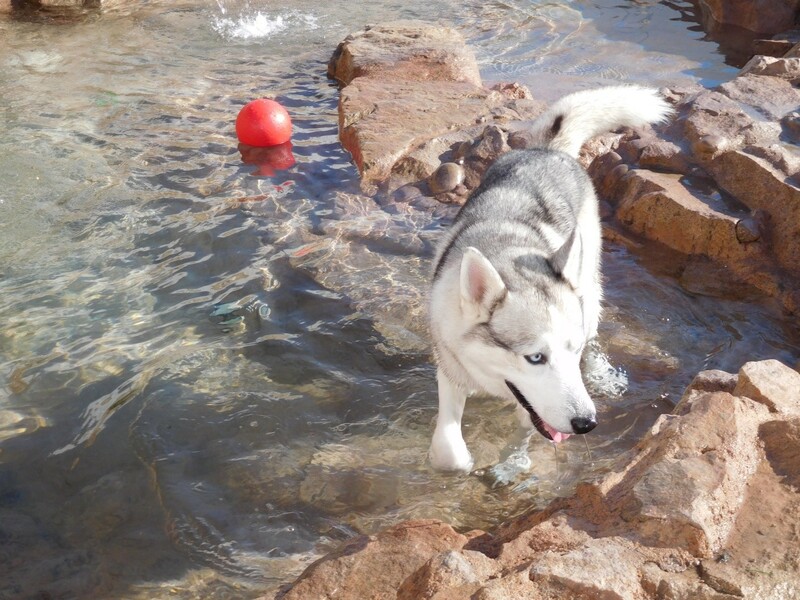 Dogs love playing outside and they’ll enjoy plenty of outdoor time at our facility. 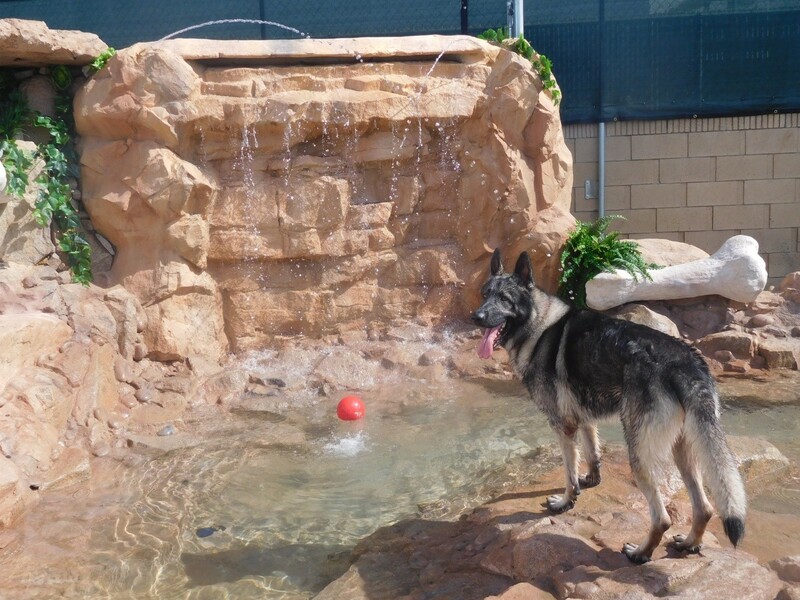 We have three large outdoor play yards complete with beautiful pools, rock waterfalls, misters, shade sails and special K9-turf. A family dog is just that: a member of your family. That’s why we designed our dog daycare after daycare for children. It’s a fully supervised play environment that teaches dogs valuable socialization skills. Dog parents know full well about the trouble their furbaby can get into if they are left home alone. 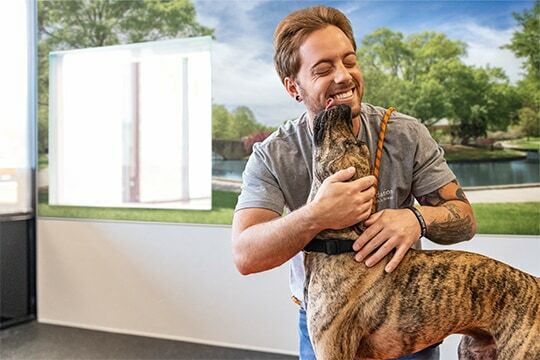 Dogtopia’s staff will keep your dog busy with fun activities and as an added bonus, they’ll learn valuable social skills around both people and other dogs! We keep our facility climate-controlled, no matter what the weather. It’s always comfortable in our playrooms. 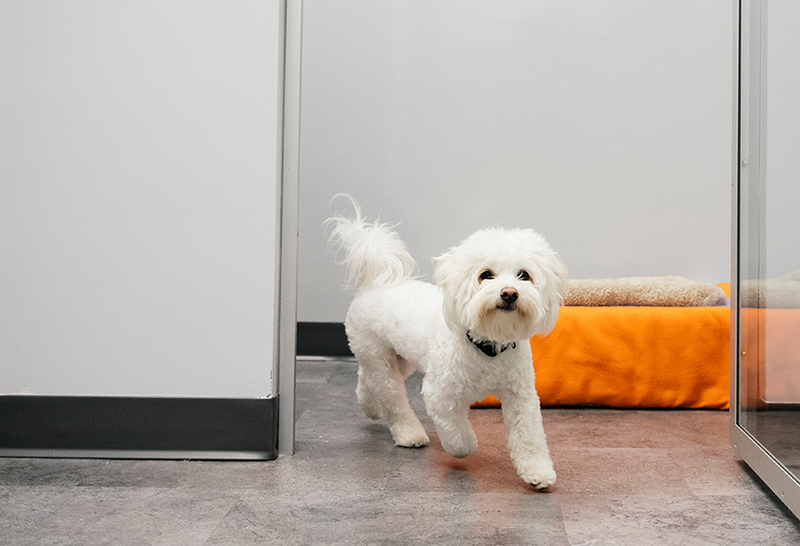 Our playrooms’ rubber floor provides a comfortable surface for the the pads of your pup’s feet. It is also highly beneficial for older dogs and any dogs who may suffer from hip dysplasia and other joint ailments. Our beautiful facility is designed around indoor and outdoor open play. The schedule for daycare includes a much needed naptime for each dog in a comfy suite or home-style crate each day between 12pm-2pm. Before and after nap time it’s all about maximizing the supervised fun, socialization and open playtime. We also cater to dogs with disabilities, as well as senior dogs. We welcome all breeds of dogs at our facilities – all happy and social dogs who meet our criteria can come play with us! 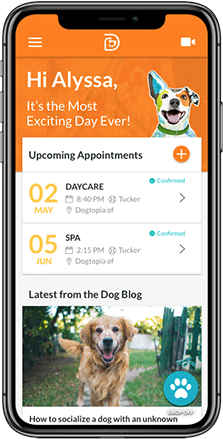 WHY CHOOSE DOGTOPIA OF ANAHEIM HILLS? We provide you with peace of mind. You can check in on your dog throughout the day using our webcams. 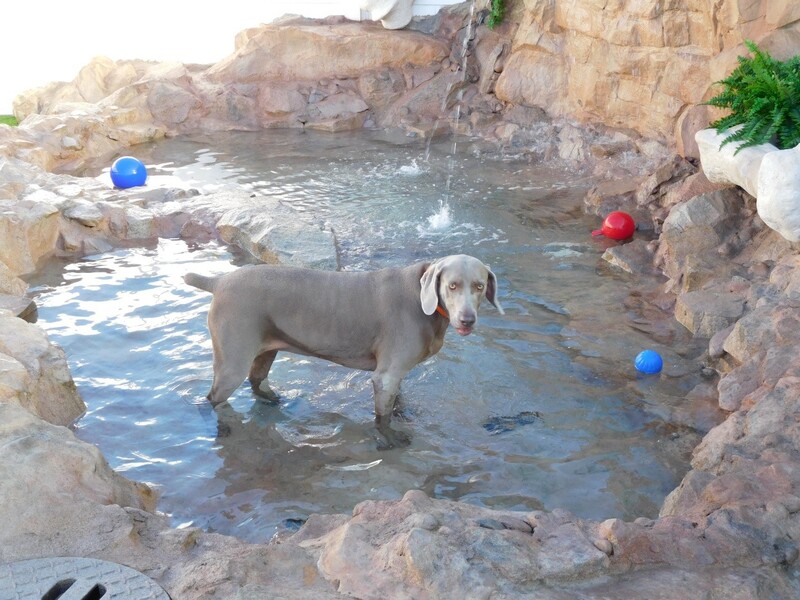 Many of our clients report an improvement in their dog’s behavior following just a few days at our daycare. To find out more, please check out our pricing page or contact us. Our friendly team will be more than happy to find the dog daycare package that meets both your dog’s needs and your budget. 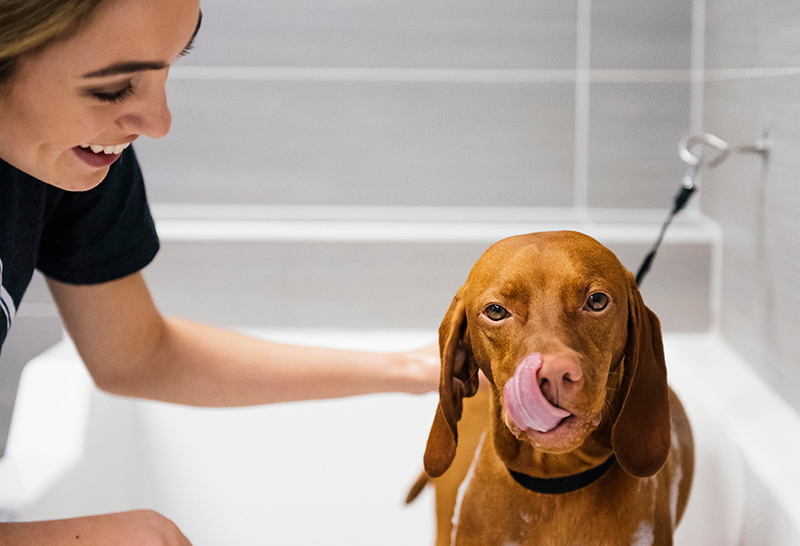 Providing the best care for your dog is our team’s passion. We realize how important it is for you to feel safe leaving your dog with us. That is why our team is trained in recognizing dog behavior and how to care for multiple dogs. They will work closely with you to determine the schedule and daycare pass or membership that best suits you. We require any dogs that visit with us to have up-to-date vaccinations (Rabies, DHPP / DHLPP, Bordetella) and be free of fleas, ticks and any contagious diseases. The Influenza vaccine is highly recommended, and we urge you to consult your veterinarian in these regards. Note that titers are not accepted in lieu of vaccinations.